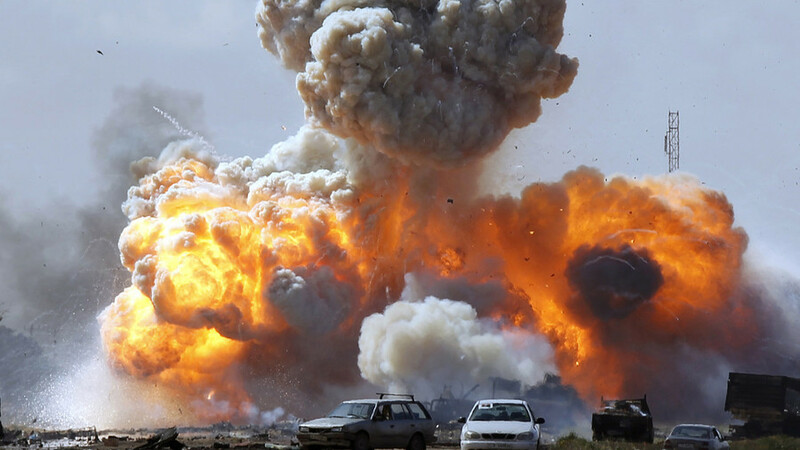 April 10, 2019 (Tony Cartalucci – NEO) – Libya is back in the news, as fighting escalates around the capital, Tripoli. It is easy to imagine ridiculous young President Emmanuel Macron of France as his fellow-free trading liberal King Louis XVI. Macron’s extraordinary pretensions to “dignity” and being a “king” far from elevating him have stripped him of all the bogus credibility that the corrupt, servile and stupid mainstream media of Europe and the United States tried to give him. Far from raising the embattled Fifth Republic to new heights of achievement and success, it is already clear that Le Jeune Macron is destroying it. The contrast with the founder of the Republic, the great and truly regal Charles de Gaulle could not be greater. The 1.96 meters tall De Gaulle towered over his nation in many ways. Twice he was his country’s literal savior: First as the leader of the Free French Resistance against the Nazis and as President of France from 1944 to 1946. And then returning to power in 1958, De Gaulle saved his nation from disintegration and civil war. He ended the long ferocious conflict in Algeria, survived at least six assassination plots on his life and rebuilt his nation into the most powerful and prosperous state in Western Europe. He also defied the United States repeatedly, courageously criticized US conduct of the Vietnam War and built a lasting relationship of friendship and understanding with the Soviet Union. Macron is physically not a small man, standing at 1.78 meters: He only acts and looks that way. Only a year into office, it is now irreversibly clear that young Macron is fated to make a mockery of every great achievement of De Gaulle, Le Vieux, including the Fifth Republic itself. Ridiculous young Macron has inflicted ruinous new hardships on the long-suffering French people in the name of his global financial masters. He has loyally proved to be Washington’s poodle in petty-minded and destructive attempts to impose yet more economic sanctions on Russia. Far from withdrawing France from needless ruinous wars in the Arab and Muslim worlds as Le Grand Charles did in Algeria, Macron continues to eagerly support and promote the disastrous Western interventions in Syria and Libya. The true parallel to Macron is not De Gaulle, who restored the wealth, stability, dignity and pride of his nation but of the hapless, witless, very internationalist and liberal King Louis XVI, last monarch of L’Ancien Regime. Like Macron Louis was an eager, arrogant and idiotic young technocrat. Like Macron, he was an internationalist revolutionary and a free trader. He supported the American colonies in their successful revolution against the British Empire. It never occurred to Louis, just as it never occurred to Macron, or his predecessors Nicolas Sarkozy and Francois Hollande that supporting revolutionary wars thousands of miles away could ever come back to haunt them at home. But that is exactly what happened. 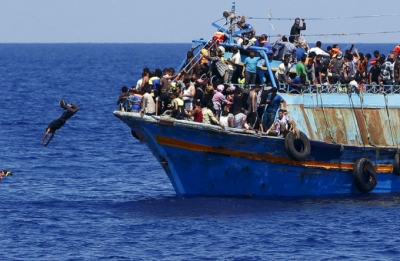 The collapse of ordered societies in Syria and Libya unleashed of millions of immigrants into France and other European nations with dire social consequences. Louis suffered “blowback” too. American revolutionary Benjamin Franklin set up underground societies in France that within a decade toppled the most powerful kingdom in Europe. Far from being the reactionary he has been caricatured as for more than 200 years, King Louis was one of the leading fashionable liberals and technocrats of his time. He especially revered English free-market economist Adam Smith, whose book “The Wealth of Nations” was published in 1776 (the same year as the American Revolution). So only a decade later, Louis fatefully signed his own 1786 Eden Free Trade Treaty with neighboring Britain. As I noted in my own 2012 economic history “That Should Still Be Us”, the treaty proved to be a catastrophe: Cheap industrialized goods from the more advanced British economy flooded into France while the British cannily retained barriers of their own against French agricultural and other exports. The French economy collapsed. Millions of people were thrown out of work. They and their families starved. Within three years the Great Revolution had exploded and the monarchy was toppled. Louis, like Macron today, was convinced his advanced economic theories were more important than petty human suffering. It took the French Revolution and the loss, first of his crown and then of his own head to teach him otherwise. Like Louis, Macron has shown no understanding or sympathy for the sufferings of ordinary people crushed beneath his absurd, unnecessary policies. Like Louis, his mask of liberalism and civilized compassion vanished as soon as his own people dared to disagree with him. Like Louis his only answer now is repression. Like Louis, he does not have a clue. The Yellow Vest protestors are not going away. The French people are heartedly sick and tired of the 50- percent real unemployment, wide open immigration borders, slashed welfare programs and breakdown of law and order that Macron and the European Union elite has foisted on them., The Latest French Revolution is not over: it is only beginning. Macron has ignored the ominous lessons of history. Now he is doomed to repeat them. This October 23 marks the anniversary of the “end of the civil war” in Libya in 2011. According Boris Dolgov, Senior Researcher at the Center for Arab and Islamic Studies, Institute of Oriental Studies, RAS, when NATO intervened in that internal military conflict, it led to the collapse of the Muammar Gaddafi rule and the collapse of the Libyan state. “As a result Libya has collapsed as a state; and today there are various political forces, including Islamist ones, competing to become the only authority in the country,” the expert says. At the moment there are two main political forces fighting for power in the country — the House of Representatives and the Government of National Accord, but there are other forces as well. In Libya there are various clans that have armed groups in their areas of influence. Some of the groups adhere to radical Islam. 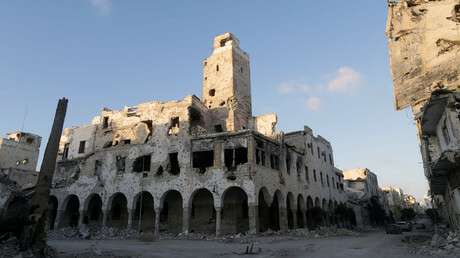 Russia, like other members of the international community, is making great efforts to find a solution to the Libyan crisis, but so far no one has managed to obtain any tangible result in the process.Moscow is working with Libya’s most influential forces, like the armed forces of Field Marshal Khalifa Haftar who is fighting radical Islamists and aims to rebuild the Libyan state. Russia is working together with various forces in Libya to reach a political consensus among them and make the political process a priority. The representatives and delegations of various political forces even went to Russia to take part in talks. In the future, Russia will continue working to resolve the crisis. “Russia hasn’t officially declared it will send military advisers or other Russian military personnel to Libya, but, in my opinion, it would be possible if the Libyan side, for instance the forces such as those led by Marshal Haftar, asked for it,” Dolgov explained. Russia can help solve the Libyan crisis. It could help end the local conflict with the aid of Russian military advisors or instructors on the ground who can pass on their experience to the Libyans. Khalifa Haftar is Libya’s most powerful military force. According to the Marshal, he is fighting against radical Islamic groups. This is really important for Russia as these groups pose a threat not only to Libya, but also to the region as a whole, and even to Russia itself. We know that Islamists from Syria and Iraq have arrived in Libya; in one of the regions, they have even created a para-state that swore allegiance to Daesh (terrorist group banned in Russia). This poses a threat to Russia as Daesh terrorists and other affiliated groups have stated that their goal is to promote jihad in Russia, namely in the Caucasus and southern Russia. “Haftar’s forces are helping to eliminate this threat, so that Moscow’s willingness to cooperate with these forces becomes clear,” the expert said. What we are seeing in Libya today is a very complex process. An armed conflict can have repercussions; finding a compromise among a number of armed groups will take time. But perhaps the elections in Libya will somehow glue society together. “The normalization won’t happen tomorrow or the day after; it won’t happen even in a year, but at least we’ve found the right path and hopefully Libyan society will follow it,” Dolgov concluded. “We can say that from a sovereign state, Libya has been divided between various forces, many of which are controlled by foreign intelligence services,” Usef Shakir, an expert on Libya, told Sputnik. “Libya was stable and secure; the state apparatus worked well, the country was developing and growing steadily. And now chaos and fear has reigned for 8 years,” he added. “Libyan ambassadors to European countries have become personae non gratae. In fact, the ambassadors serve as agents to the forces who have appointed them. They protect the interests of their patrons and seek support for them in the host countries,” Shakir said. “Libya’s economy is almost nothing — hundreds of billions of dollars have come in from the sale of oil, but for 8 years not a single strategic development project has been implemented in the country. We see the constant waste of national wealth and bloody confrontations. Lots of people are armed and we constantly hear about victims and wounded. Libya has become hell.””Whose fault is it? It’s the elite, who betrayed everyone and let NATO into the country. The government was overthrown, but in the end nothing good came out of this. Regional and world players are interested in the Libyan crisis continuing. It is linked to oil and other natural resources: the country is fragmented, there is no dialogue between south, north, west and east, and no one contributes to getting out of the crisis. When Khashoggi was killed, all the media was talking about that. But in Libya lots of people, journalists and activists are constantly being killed. The DAESH and Al-Nusra extremists as well as the opposition from Sudan and Chad have found a home in the country. Can you imagine what Libya has turned into? Can you imagine the current situation in the country?” the expert concluded. The UN children’s agency (UNICEF) says intensified fighting in the Libyan capital Tripoli has put the lives of half a million children in “immediate danger,” warning that more than 2.6 million children are living in dire conditions across the conflict-ridden North African country. Geert Cappelaere, UNICEF regional director for the Middle East and North Africa, made the remarks in a statement published on Monday. Citing Libya’s Health Ministry, local media said clashes that broke out last month between armed groups in Tripoli and those from another city over control of the capital had killed at least 115 people and wounded nearly 400 by Saturday night. Clashes between the Seventh Brigade from Tarhouna, a town southeast of Tripoli where the Government of National Accord (GNA) is based, and the Tripoli Revolutionaries’ Brigades (TRB) have escalated since late August and the two rival groups have been vying to take control of the Libyan capital despite a truce declared earlier this month. Renewed fighting between rival factions has erupted in and around the Libyan capital, leaving dozens of people dead or injured over the past week. “Over 1,200 families have been displaced in the past 48 hours alone as clashes intensified in southern Tripoli, bringing the total number of displaced to over 25,000. UNICEF estimates half are children. Half a million children in immediate danger in Tripoli. More than 2.6 million children in need across the country,” Cappelaere said. The shortage of food, water and electricity is among the daily challenges that children and families in Libya face, according to the UNICEF official. “The country is facing an outbreak of measles, with over 500 cases reported – most of which are among children. A growing lack of fully functioning health services will only result in more cases of measles,” Cappelaere said. The regional director also noted that schools are increasingly being used to shelter displaced families, which is likely to delay the start of the academic year planned for October 3. 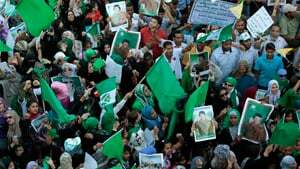 Libya plunged into chaos in 2011, when the country’s long-time dictator Muammar Gaddafi was ousted in a NATO-backed uprising. The North African country is currently split between two rival governments in the east and west, each backed by an array of rival militias. A Norwegian state report says the officials “had very limited knowledge” of what was going on in Libya, but promptly decided to join the US-led intervention, turning the once thriving North African nation into a terrorist hotbed. Norway rushed to help its NATO allies to pound Libya with airstrikes in 2011, without understanding what was actually happening on the ground or the dire consequences the intervention might lead to, a new state report has concluded. The commission, chaired by former Foreign Minister Jan Petersen, found that politicians in Oslo “had very limited knowledge of Libya” when they dragged the nation into the US-led bombing campaign against the Libyan government. “In such situations, decision-makers often rely on information from media and other countries,” the report says. The attack, dubbed ‘Operation Odyssey Dawn,’ was aimed at aiding the armed anti-government rebels in ousting longtime leader Muammar Gaddafi and eventually led to his brutal murder. 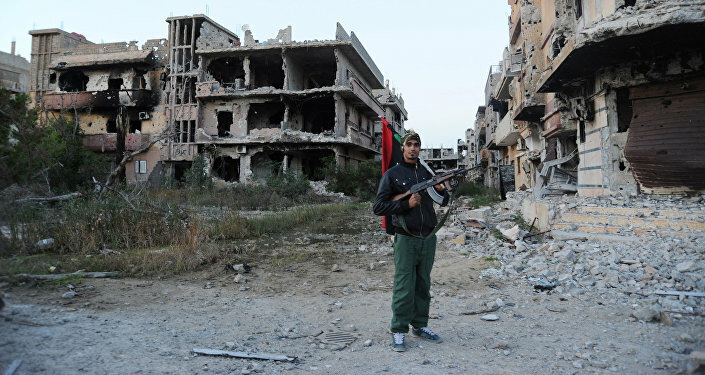 After Gaddafi’s assassination, Libya quickly descended into civil war and became a hotbed for terrorism. The country is still divided between warring factions. Norway had provided six F-16 fighter jets during the air campaign. According to the report, these jets flew 596 strike missions between March and July 2011, dropping 588 bombs on Libyan targets. This amounts to about 10 percent of all coalition strikes against Libya that year. The report’s revelations led some politicians to re-examine the country’s involvement in the Libyan campaign. “When you look at what happened next, with Libya becoming a hotspot of terrorism, this is not a decision to be proud of,” former Center Party leader Liv Signe Navarsete said. Socialist Left Party leader Audun Lysbakken told local media that “Norway should not have participated in the Libya war,” given what the nation knows today.